The role of content distribution has taken on massive importance in content marketing circles. A study found the two most important aspects of distribution -- by a lot -- are targeting precision and scale or reach. Content distribution is seeing a significant increase in share of content marketing budget according to that same report from the Online Publishers Association. The OPA also found content partnerships deliver significant audience engagement, reinforce brand values on average by 15 percent and educate consumers in a trusted environment, according to research. What do content partnerships mean to companies? Businesses with limited content creation resources can boost their exposure and engagement with partnerships. The key is finding one that aligns with your business goals. As brands look to diversify their marketing approaches, they’re tapping into other content sources beyond their own companies. We chatted with Rory Strunk, Managing Director of Global Content Partners; Roger Wu, co-founder of Cooperatize; Meghann Farnsworth, Director of Distribution and Engagement at the Center for Investigative Reporting; Felicia Alexander, Senior Director, Business Development of Content Solutions at Demand Media; and Hayes Ferguson, Chief Content Officer at Legacy.com. They discussed successful content partnerships and how companies can benefit from them. Business goals should define any potential content partnership, i.e. what is your company trying to accomplish and who can assist in that effort? That in turn will help outline the platform and specifics about the partnership itself. "As a nonprofit news organization, content partnerships are really important for us to reach different audiences," Farnsworth said. "For example, our project Subsidized Squalor looked at housing conditions in Richmond, California. In order to make sure the community saw the story and to ensure the story had impact, we partnered with the San Francisco Chronicle and KQED to tell this story. The result has powerful images, text in the Chronicle, video on KQED TV and powerful audio on radio." In addition to letting your goals dictate the value of a potential partnership, the medium matters too. "For us, finding the right content partner depends on what the story is and the best way to tell it," Farnsworth added. "Are there video components to engage a broadcast partner? Do we have good audio to talk to a radio station? Is this a breaking news story or a long form feature?" You should also look for partnerships that can help you find valuable audiences you might not otherwise reach. "As the overall landscape for marketers is becoming more fragmented with more channels and more ways to reach the end customer, content marketing and content partnerships is another way to reach audience," Wu noted. To learn how media companies and brands use ScribbleLive's syndication service to find new audiences, click here for a free demo. As noted above, your goals and the type of content you hope to produce will guide you to the right potential partners, but you need to check some other boxes before committing. For starters, you need to be comfortable with publicizing the partnership. "The most important thing is authenticity," Wu advised. 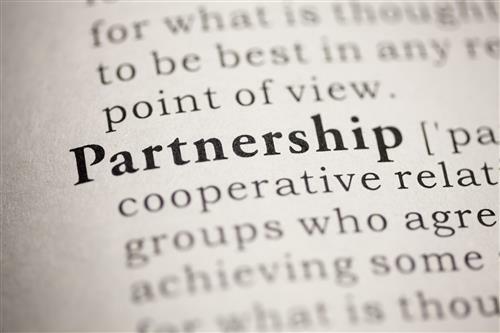 You want to be fully transparent that one or the other is involved in the partnership." That comfort can be determined in large part by making sure that the ethics of any potential partners overlap yours. That includes asking about delivery, oversight and editorial controls. "You should always ensure that your content partner has similar values to you," Farnsworth emphasized. "Make sure you talk beforehand about what the expectations are for the partnership, who is going to review content, and other things that could get lost as you move forward." And while you know what your goals are, it's obvious but important to make sure your partners understand them as well so they can contribute meaningfully. You should also agree on metrics to measure against the goals. 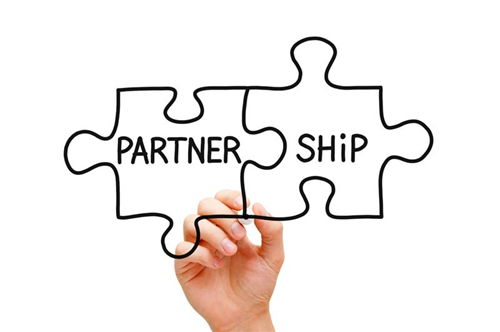 "Before getting to the tactics on a content partnership it is important to understand the business need that is driving the partnership," Alexander noted. "Are you looking to attract a new audience, increase time on site, drive new sales?" Once those things are settled, you can begin to ask the more tactical questions. The answers to these will require research and preparation, but once they've been defined, you can start implementing the strategy. "[Ask] who you want to reach, what channels you want to activate, the message you want to impart and the creative/storytelling to make that message come alive," Strunk said. The impact of content sharing arrangements on multiple platforms can go beyond simple exposure and awareness. Many brands are new, or relatively new, to the idea of content creation, so finding a partner who can bridge the experience gap can also be useful. "What we first thought was that as the world becomes more social everyone becomes a publisher, what we quickly realized is that there are still "advertisers" and “publishers" ... content partnerships let "advertisers" utilize the audience aggregating skills of "publishers" so they can have their story told,” Wu observed. If you can partner with a publisher who is already an established voice with the people you hope to reach, that's all the better. A well planned effort can also go a long way toward cementing your brand as a go-to source of content in the minds of readers. Happily there are plenty of examples of successful partnerships that can provide valuable lessons. "A good example of our work on content partnerships is our America's Worst Charities investigation -- we worked with the Tampa Bay Times and CNN to tell this story," Farnsworth noted. "We produced text, interactives, broadcast video, and more out of the collaboration that reached a wide audience we wouldn't have reached otherwise." Even major media companies with massive budgets and significant reach have reaped the value of partnerships. "I thought the NYT partnership with Netflix to promote the Season 2 of Orange is the New Black was fantastic and authentic to both brands," Alexander noted. Ultimately content partnerships are nothing new, but as companies see the increased brand value and other positive effects with their targeted audience, they will undoubtedly explore more ways to distribute and create content this way. Content partnerships vary by platform and subject matter. That's why it helps to define the goals, which will help identify and narrow down the target audience to a specific niche. Not only that, outlining the goals and audience will help narrow down the types of content partnerships you wish to seek out. To see the rest of the discussion in its entirety -- including how to deal with rights issues -- scroll down. To see how brands use ScribbleLive to create and distribute content that drives real-world results, click here to sign up for a free demo. The essential role played by original content has resulted in brands, media companies, studios and agencies across the spectrum forming mutually beneficial content partnerships. 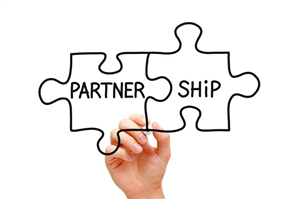 "Super connected" partnerships (involving more than two partners) are also increasingly popular. Knowing which approach works best and striking the proper balance are both crucial toward ensuring those partnerships are a success. To that end, ScribbleLive hosted a chat on content partnerships where we talked to a panel of experts, including Rory Strunk, Managing Director of Global Content Partners; Roger Wu, co-founder of Cooperatize; Meghann Farnsworth, Director of Distribution and Engagement at the Center for Investigative Reporting; Felicia Alexander, Senior Director, Business Development of Content Solutions at Demand Media; and Hayes Ferguson, Chief Content Officer at Legacy.com. We explored the questions you should ask, how to avoid mistakes and the best ways to ensure success.